-- Select a Size -- Small Medium Large - Out of Stock! 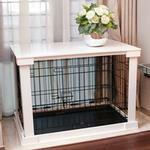 Decorate your home with a classically designed dog cage that doubles as an end table! We love the beautiful wood veneer used to create the crate cover on this steel crate. 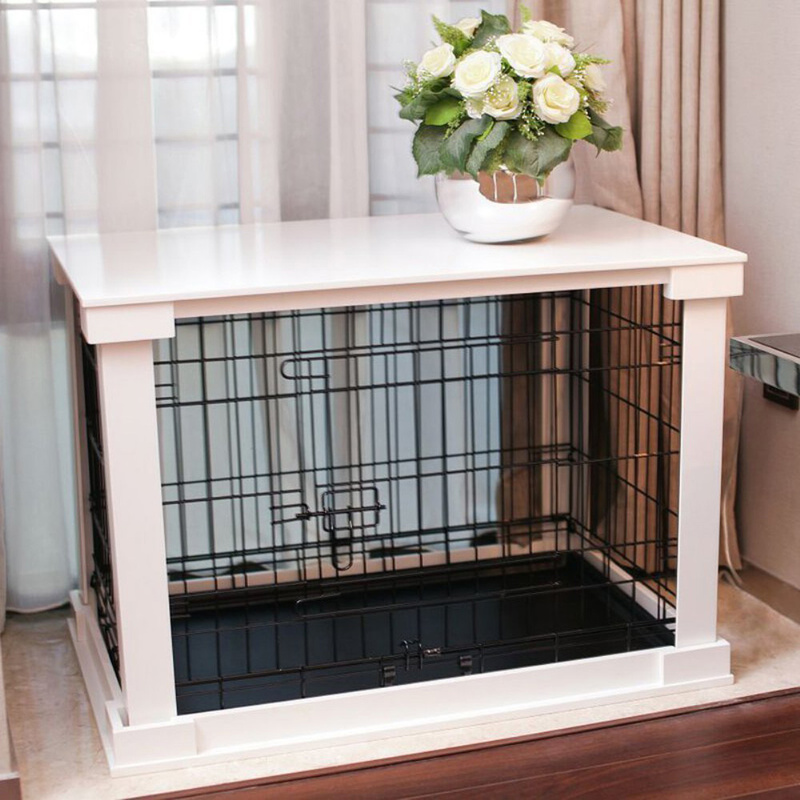 The Wood & Wire End Table Dog Cage in White comes with a metal crate that can be used as a functional table surface without sacrificing your pet's comfort. 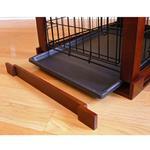 The crate improves the appearance of your pet crate without limiting your dog's visibility. Fits nicely into any home decor. I love BaxterBoo. Great customer service. My only complaint is that its often hard to find things big enough for my dog (golden retriever). A lot of their stuff is geared more toward little dogs. When I do find something that comes in a large enough size for my dog, its often sold out in the large sizes.